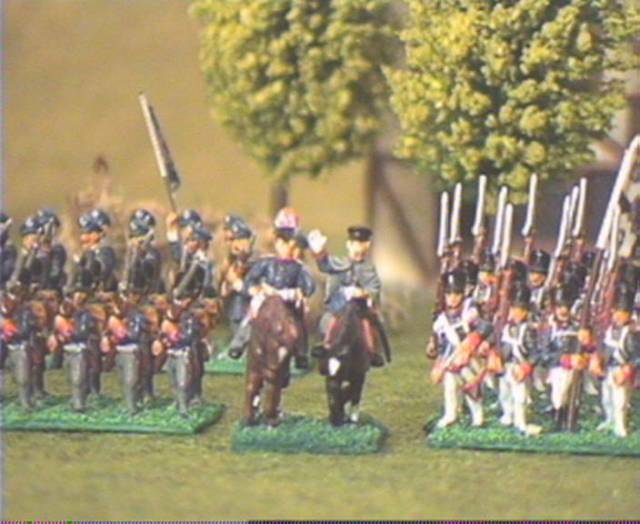 Currently I have only some pictures of my Prussian Army. They are old ones so the formations don't look like they do in Corps Command. 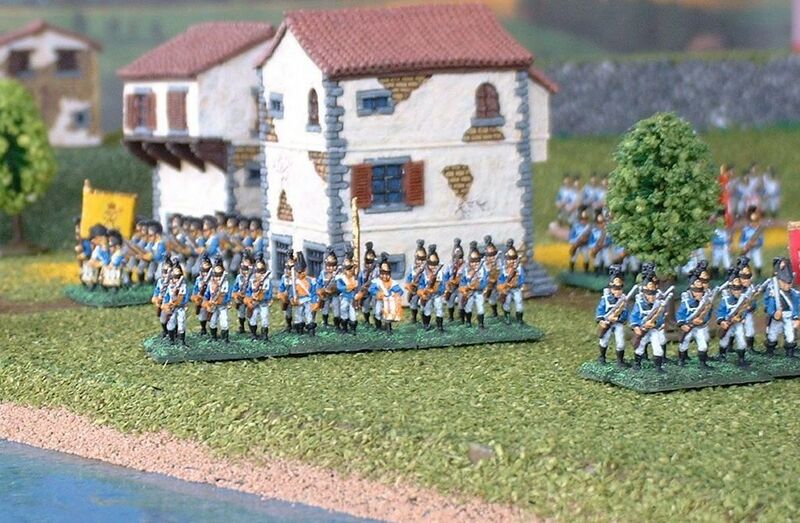 In our club we use 15mm figures. 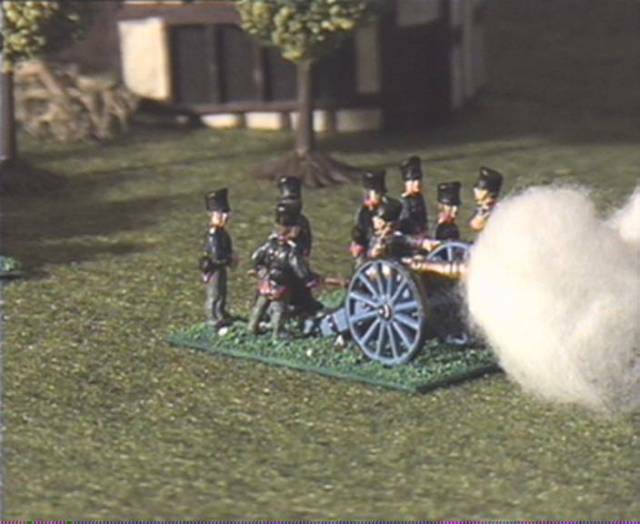 My Prussians are mainly from Essex but other manufacturers are running up. 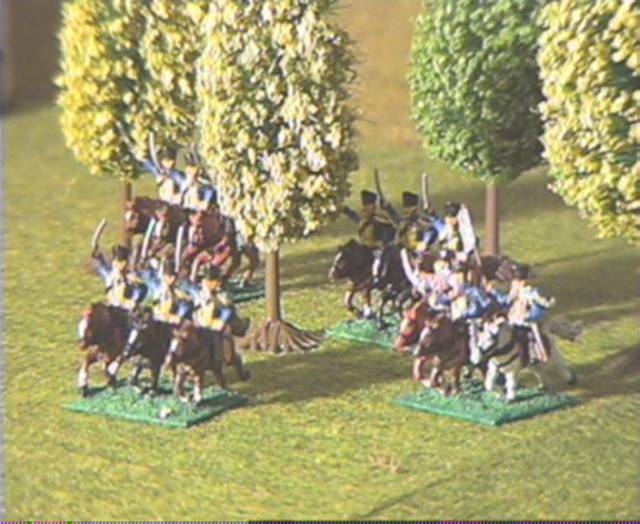 Currently I am painting an Spanish army with figures from Naismith which have a quite good cost to detail ratio and I like their proportions. 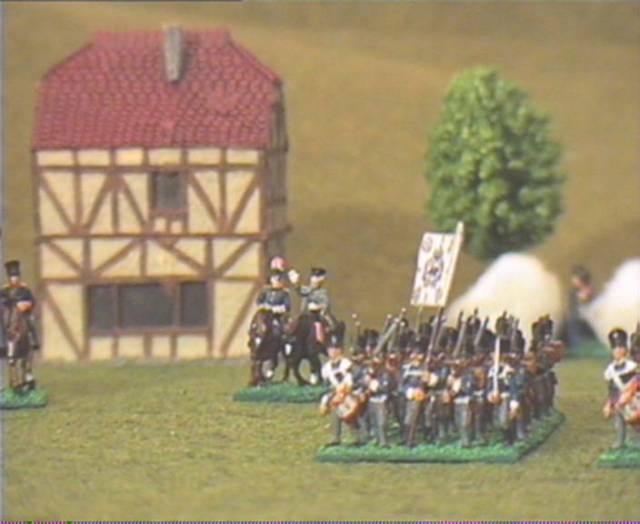 Wuertemberges advancing out of a village. These are 12pdrs. I'm often quite sorry to have not more of these! 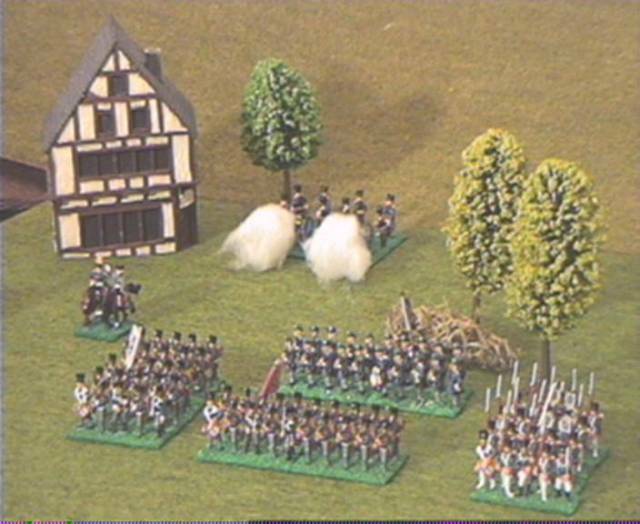 West Prussian Infantry advances in Column.The house in the background is from Hovel. 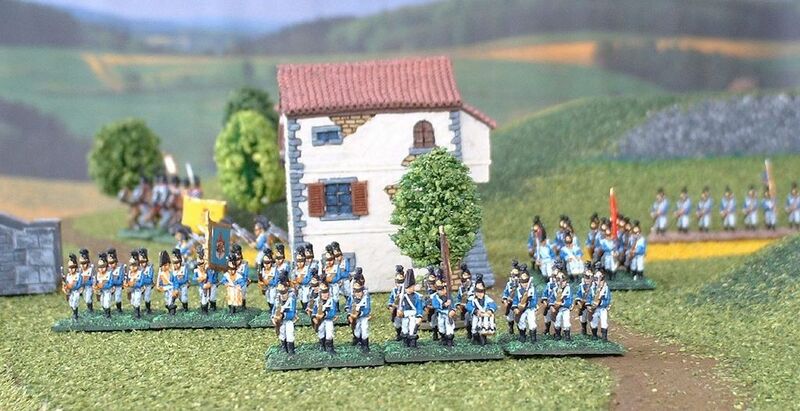 Here you can see old Bluecher and his shadow Gneisenau between his troops. On his left there are grenadiers in parade uniform. They are in parade uniform because at some point I got bored painting allways this blue/grey so it was blue/white this time. To his right are some Brandenburgers and in the background are some Landwehr. A group of Hussars coming out of hiding are always an interesting distraction. 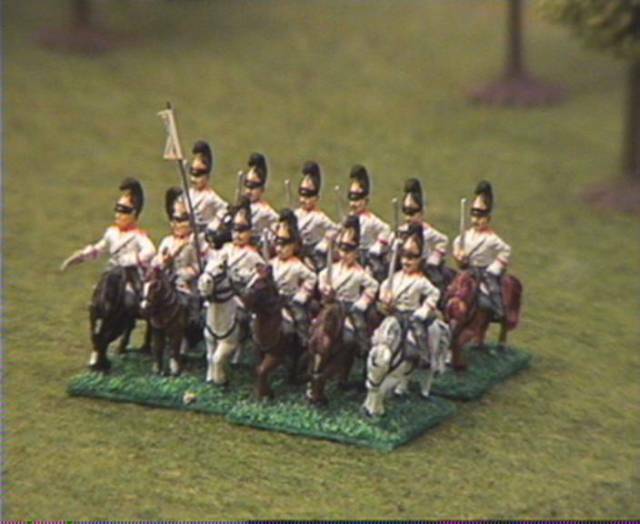 A part of my Prussian army in battle order. 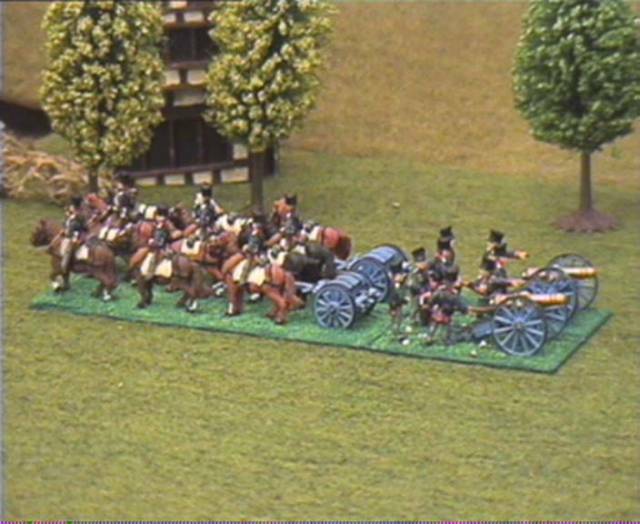 The Prussian cuirassiers are famous for one special treat: the didn't wear any cuirass at all!! !